Total Fitness will also be bringing an exercise bike with them which delegates and exhibitors can have a try on. You can also chat to Total Fitness about their upcoming offers and promotions and you can sign up to join their SMS loyalty program to receive text updates about membership offers and promotions. We also have some specific offers and promotions available to delegates and exhibitors, make sure you visit our stand to learn more about them and if you want to know about them now you can visit our exhibitors profile on the conference website. We will also be offering delegates and exhibitors the unique opportunity to purchase a memorable geographic number on the day. In addition, like many other exhibitors we will be collecting business cards and having a Business card draw, our prize will be a special memorable number. 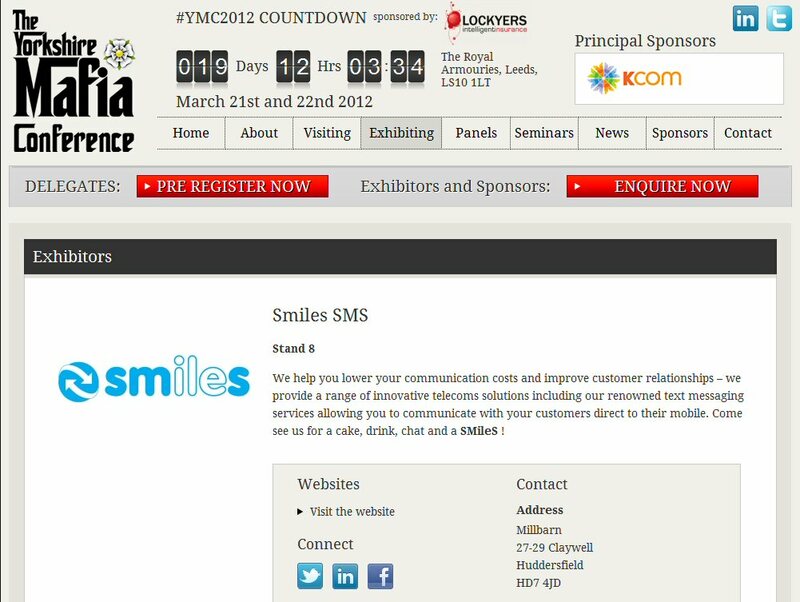 Posted on March 14, 2012, in Events and tagged Better Telecoms, SMileS SMS, The Yorkshire Mafia, Yorkshire Mafia Conference. Bookmark the permalink. 1 Comment.